There have been several films about minuscule terrors; Phase IV and The Flesh Eaters come immediately to mind. Likewise The Beginning of the End and The Empire of the Ants present the peril of small things vastly enlarged. There is a minor niche in between for films about the tiny grown to not-very-big, and within that the chief example is Ticks . The setting is a campground deep in the woods of California where a handful of troubled kids have been dragged to have group therapy and prescribed fun. The counselors, Charles (Peter Scolari) and Holly (Rosalind Allen), don’t know that the world’s worst drug ring is operating in the area, but their project is doomed anyway due to some pretty terrible characterization. Most of the teens barely have a single dimension to their personalities. There’s Rome (Ray Oriel) who’s into weightlifting and steroids, and his girlfriend DeeDee (Ami Dolenz), who’s rich and dumb. Kelly (Dina Dayrit) is withdrawn, and the only time in the entire movie she does anything is just an excuse for a body to be found. Melissa (Virginya Keehne) is Charles’s daughter, and her only thing is to be pissed about Holly. Darrel (Alfonso Ribeiro) is black, so he’s a drug dealer who calls himself “Panic”. 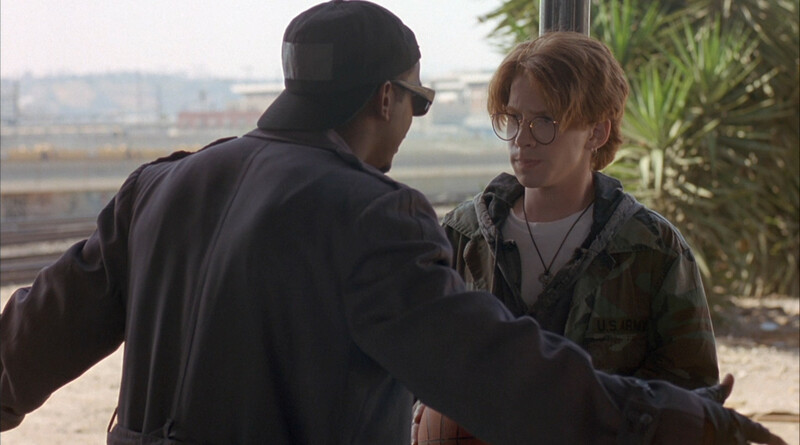 Last, and nearly least, is our hero Tyler (Seth Green). Tyler has no discernible personality, but he has a quirk; nature gives him anxiety attacks. 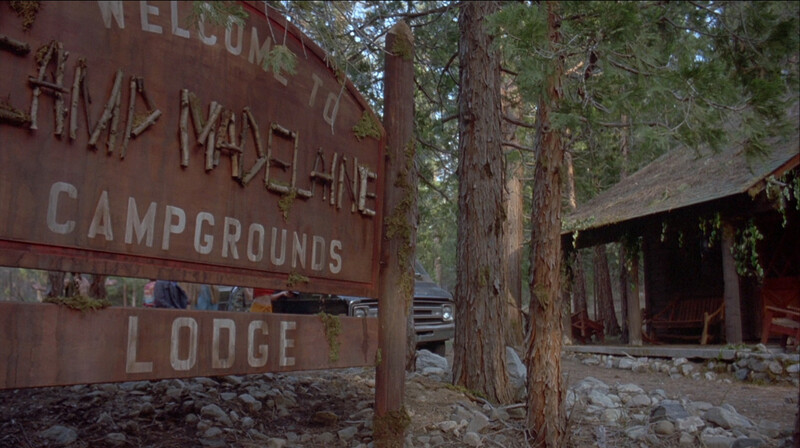 Camp Madeline is our film’s cabin in the woods. This unpromising group is given nothing to do. 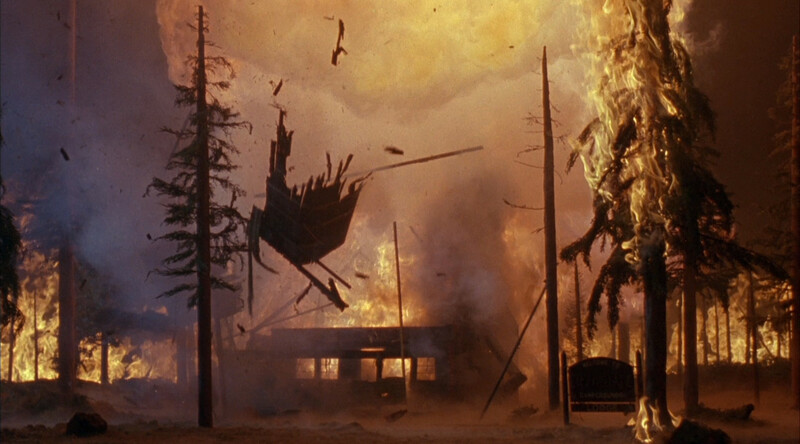 Sure, there’s a campfire and one attempt at group therapy, but it’s clear that neither the counselors or the writers had any notion about actually making the trip relevant to helping the kids. Good thing there’s a swarm of giant ticks to keep them busy! As a group they can bond over ignoring Tyler and Melissa’s story of a big bug. The ticks are the fault of the criminally stupid drug ring operated by a man known as Sir (Barry Lynch). 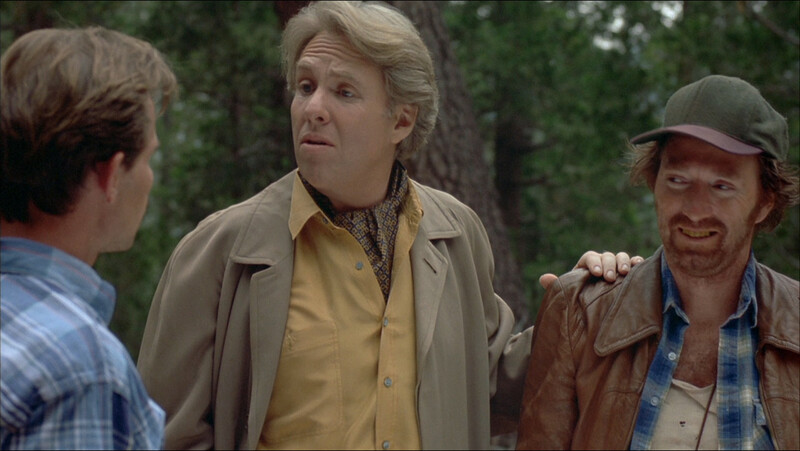 Their marijuana crop is tended by Jarvis Tanner (Clint Howard), whose herbal steroid concoction dripped on tick eggs. Most of the resultant bloodsuckers are about the size of a guinea pig or large rat, and they appear to breed true. One becomes the size of a cow, but that’s an outlier that I’ll discuss separately. An egg sac soaks in drippage from the growth compound. Honestly, my favorite parts of the film center on these merely large ticks. They function as oversized versions of their close cousins the tarantulas, which is why I consider it a big spider movie. Big vampiric spider swarm movie. When the film operates on that level it’s terrific, and I forgive the terrible characters and lack of purpose behind getting them to the location. 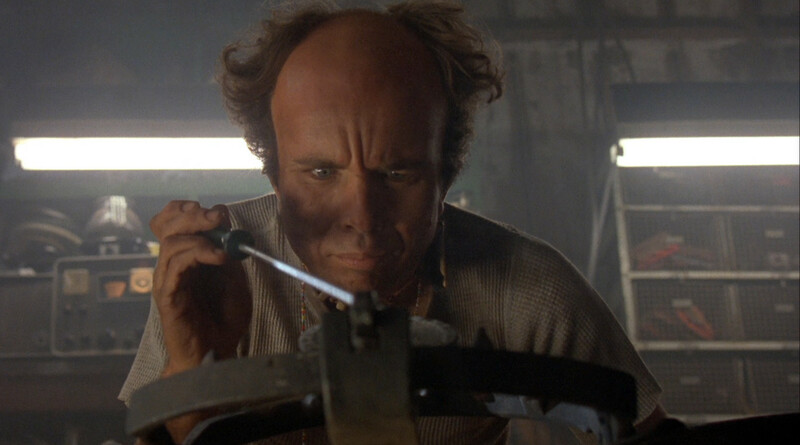 Skittering critters are one of my favorite things, and getting to watch Clint Howard get beat up by them is quite a bonus. Jarvis works on a boobytrap, as a radio show explains that’s what drug croppers do. I can’t talk about the enormous tick without talking about Panic, and I can’t talk about him without addressing the racism of horror in the 1990s. Filmmakers would make a play for diversity in casting by putting in one black character to kill off. It became so prevalent that audiences knew going in that these token actors were doomed. Ticks is even more blatant, as Panic is the only person in the camping group who dies. This is the tale of Panic, who never stood a chance. Obviously, spoilers follow. Panic is introduced as a knife-wielding bully, threatening Tyler’s life over hoops. The first time we see Panic, he’s intimidating Tyler. They’re the first two at the trip’s rendezvous point, a parking lot under a bridge. The counselors pull up in the van and reveal Panic to actually be a good-hearted kid, but that doesn’t erase the fact that he was introduced as a threat. This is one of the clumsy ways that movies tried to address racism, by reinforcing the stereotype before dispelling it. Entire movies were based on this approach in the 1980s, such as Carbon Copy and Soul Man , but by the next decade it was condensed to a few minutes of the character “just messing with you”. It doesn’t actually counter racism, just sets up this person as “one of the good ones” — an attitude that simple adds a qualifier to racism. Panic brings his dog Brutus along for the trip, and since ticks are practically magnetically attracted to dogs this means that the pooch is going to be the group’s expository casualty. In light of this, he packs his belongings and sets out for the highway to hitch a ride back to L.A. Smart move, except that the movie’s not done with him yet. Be patient. This will all lead to the movie’s big damn tick. Sir and Jerry warn the campers not to go wandering too far in the woods. Unfortunately for Panic, the mutated ticks are already in the area he’s walking through, and he discovers one attached to his leg. He kills it, but the tick’s neurotoxin makes him start hallucinating. This leaves him vulnerable when Sir and his idiot henchman Jerry find him in their field of marijuana. 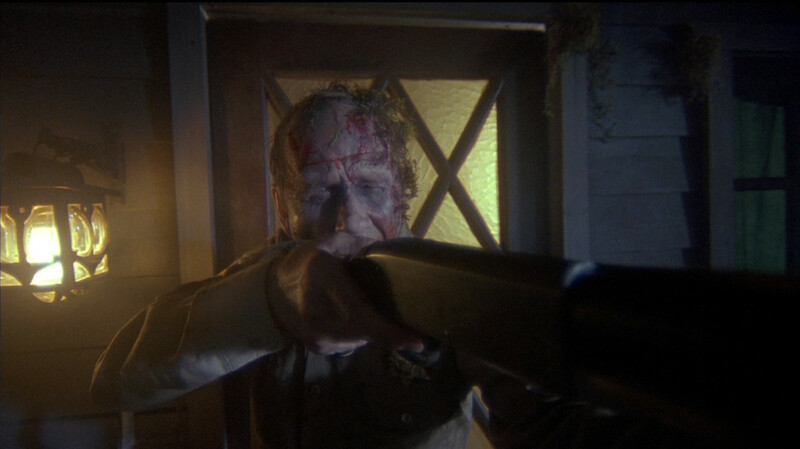 He manages to escape them, but he takes a bullet to the gut in the process. For some reason he takes the steroids that he stole from Rome during the trip up. Jerry hallucinates that Sir is the sheriff they killed. There is a reason, though, and that’s to create an even bigger tick. 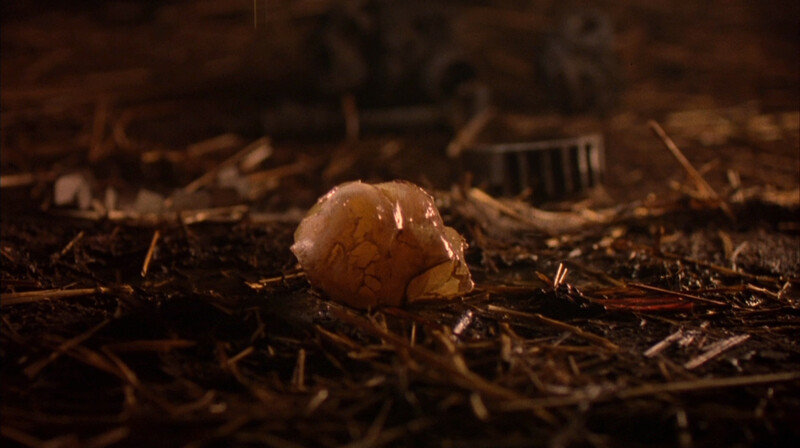 Panic, unlike all the other campers who received bites, has eggs gestating inside of him. This happens to one member of the drug ring as well, but not having steroids in his system the bad guy only hatches normal mutated ticks. Panic manages to get all the way back to the camp before finally succumbing to his many wounds. Now that Panic has run the circuit designed to create a gigantic tick, he dies. As happens in some of the later CGI giant spider movies, the huge arachnid bursts out of its host fully formed. The huge tick rips out of Panic’s body. 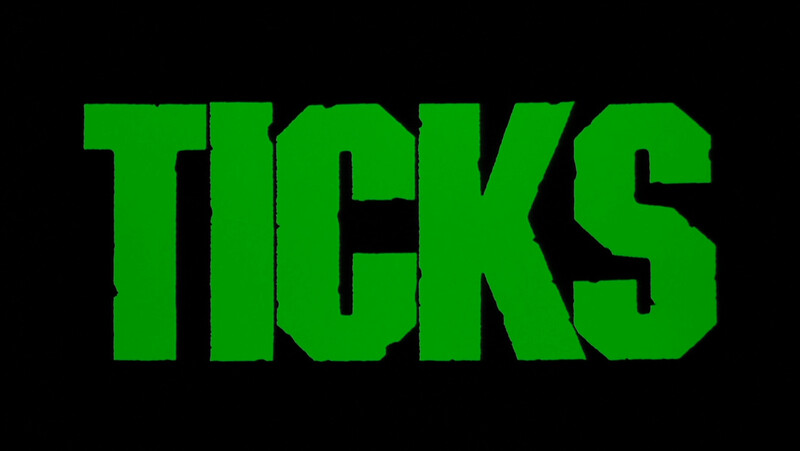 I have to admit, the emergence of the gigantic tick is a nice display of practical effects. Poor Panic is torn apart in lengthy and grotesque detail. 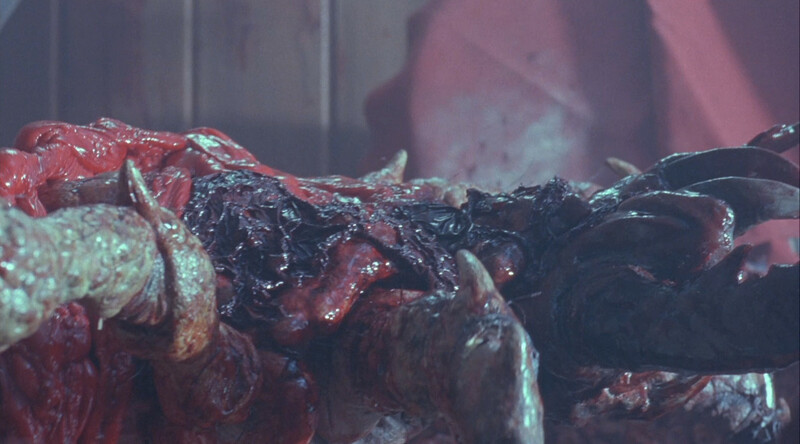 The special effects highlight of the film is the literal defacing and erasure of the sacrificial black character. It’s an awful moment as a viewer, because it’s simultaneously a great bit of body horror in the midst of a mediocre movie and the final dehumanization of the lone black character. This is a demonstration of cultural racism. It doesn’t require a conscious effort on the parts of the filmmakers to single out this one camper for punishment, even with other minority characters (from their last names, it seems that Rome Hernandez is Latino and Kelly Mishimoto is Japanese). The language of the news media, the rhetoric of politicians, the general portrayals in other movies — all of these make it easy to make the token black guy a criminal, and since only the bad guys are getting wrecked let’s make sure he gets punished too. Oh, I know how to work in a massive tick; the drugs in his system will react with the mutated eggs laid inside him. It’s so goddamn easy! When the default setting is racism it takes will and focus to overcome it, and the makers of Ticks didn’t bother. They just slapped some crap together and hoped the effects would leave a favorable impression.